The same trio of chefs who are responsible for the popular Three’s Bar and Grill have done it again with Fork & Salad! 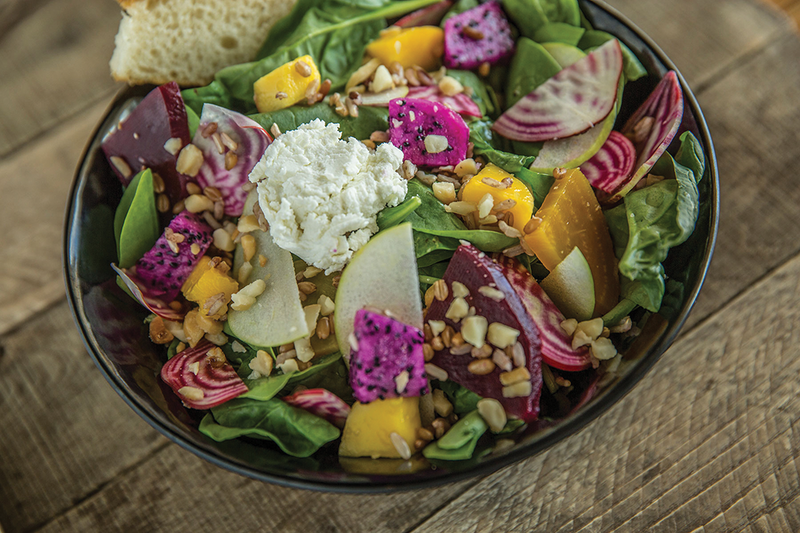 This chef inspired locally sourced salad company was created with their vision “eat local, eat healthy” in mind. The chefs are passionate about supporting Maui farms, ranches and fishermen as well as offering delicious and healthy cuisine. Fork & Salad features sandwiches, soups, stews, fresh juices and coffee, and of course don’t forget about the salads! The great selection of creative salads are all fresh, colorful and filling. There’s a build-your-own salad option, too, as well as gluten-free and vegan choices available. Eat well, live well and support local!